A major problem faced with zoom lenses is the curvilinear distortions or the barrel and pincushion distortions. This is a distortion where the magnifications of different points of an image are not equal. (Langford) There are two type of distortion we are going to deal with, pincushion and barrel. ->The image is more magnification at the center than at ites edges. Maker: Bell & Howell Name of Lens: Filmovara Focus: 15-25mm Field Covered: 8 mm proj. This is an example of a Filmovara 16mm projection lense. 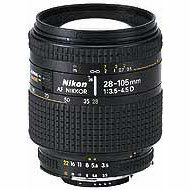 This is an example of a Rikkor 28-105 mm. Notes All images in these webpage are created by Trinh Le and Corinne Lee with Postscript, Paint, MathType, Canvas and Photshop. Please do not use without permission. To look at how we created these items, just move your mouse over the image. If it says it is created by Postscript, click the image and a new page with source code will be open. Thank You.